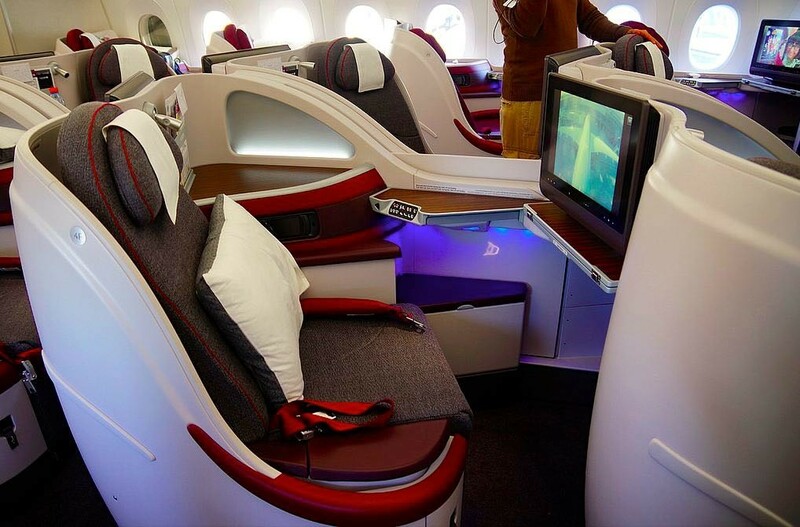 The Qatar Airways Airbus A350 - What's new? The A350 is a highly cost-effective airplane, which will not only generate extra income but also leaves a greener mark on the environment. It's the next generation for airplanes, for decades to rule. 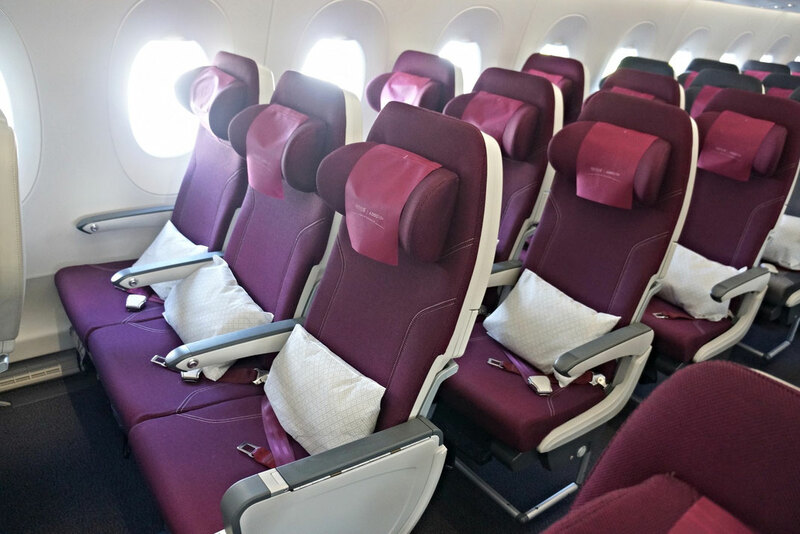 If you don't want to read the review (I know, too many words) you can just lean back and enjoy my video report which gives you a detailed inside of what it's like to travel on Qatar Airways Business Class. The A350 will also set new standards in Economy Class. 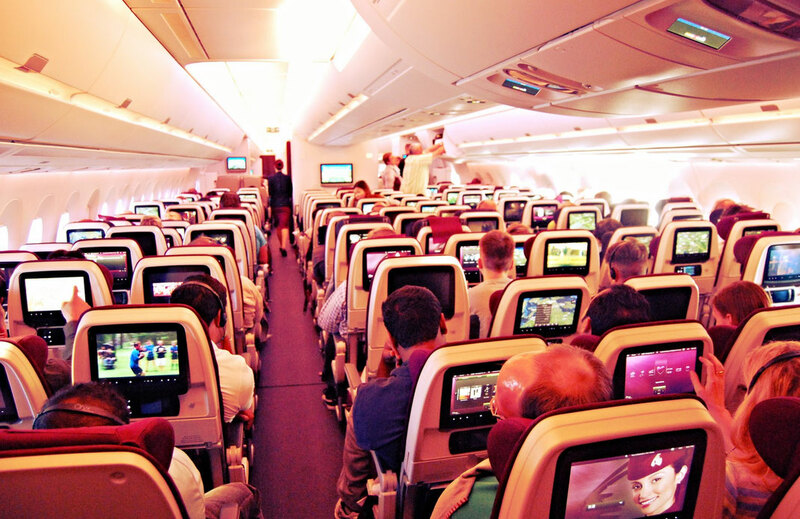 Space is always an issue for many on flights and since many airlines are particular stingy with legroom, Qatar offers an extra inch on the new jetliner per seat. Also the new panoramic windows and the innovative LED light will add a shining bright light to the cabin. What are the most important changes? Which routes does the A350 operate? Here is a list with all the routes which are currently operated by Qatar Airways A350. 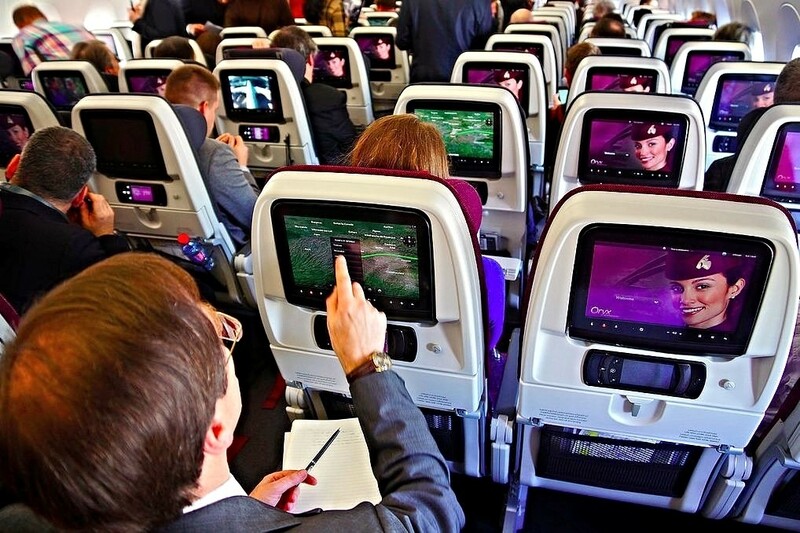 Which are the best seats on the Airbus A350? Everyone has their own preferences, and while I enjoy window seats most others may have different experiences. Many of them share these on Seat Guru. Check out the seat map for the A350 by clicking here. As per Qatar Airways standard you are eligible to 30kg checked in and 7kg cabin baggage. You can find more information on here. Another cool feature is the in-flight wifi connection available in both classes. 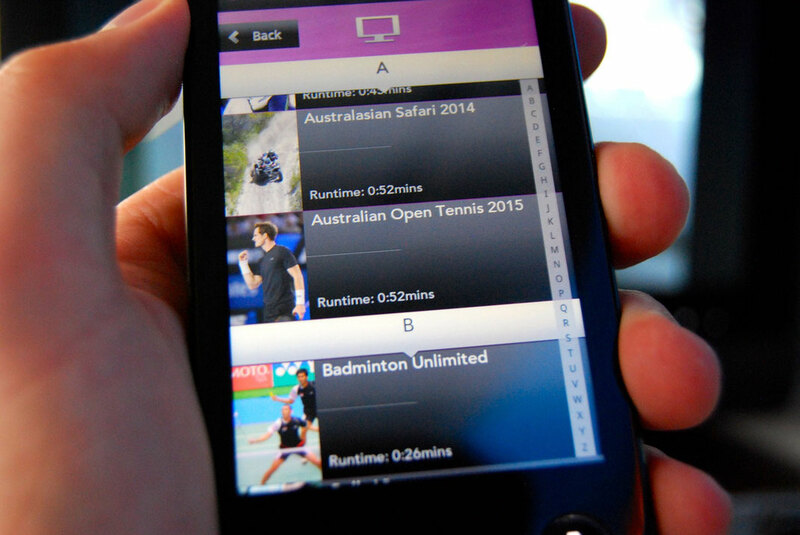 Simply turn your smartphone on "flight mode" and connect with the "OnAir" wifi. Open your browser and you'll be automatically lead to the menu displayed on the right. To purchase a certain plan you require a credit card or a voucher. 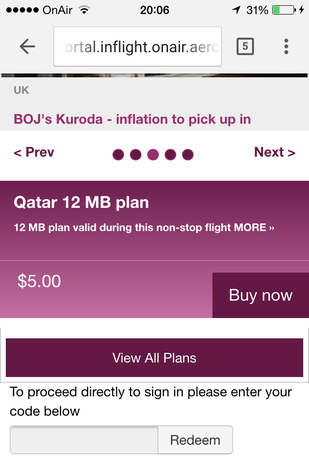 For 5 dollars you will get a data volume of 12MB which is enough to use your Whatsapp or Facebook but probably not to spend all flight on YouTube. It's a cool feature if you wanna check your emails or update your friends on your messenger. Keep in mind that the Internet isn't the fastest. 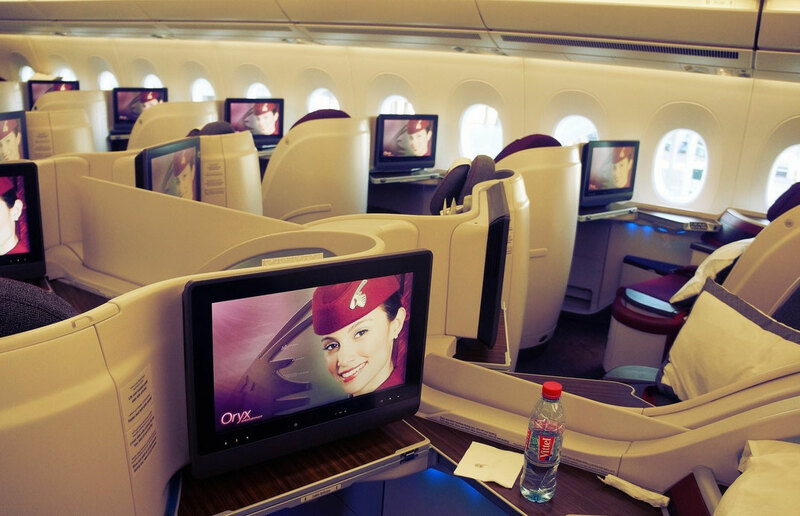 Voted the "Best Business Class" in 2014 by Skytrax, Qatar truly keeps that promise. It is a well deserved award in my opinion. Starting from check-in until the moment you touch down at your destination, you will experience a 5-star service as its best. 36 flat bed seats also await you. 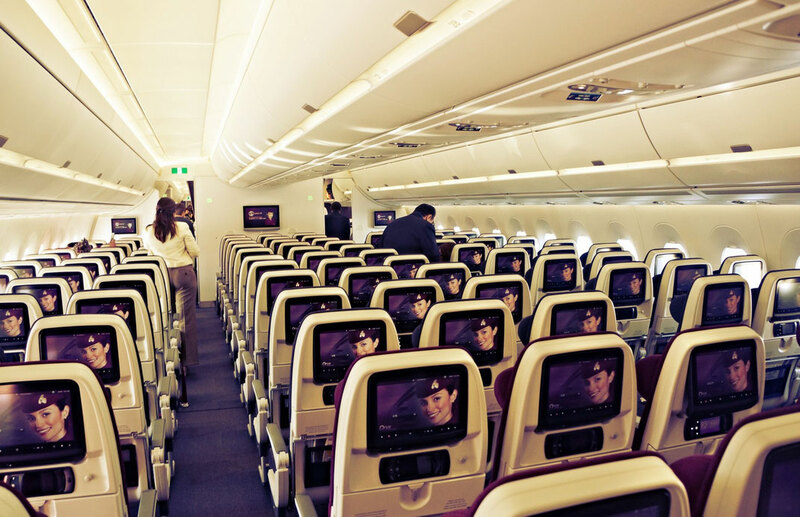 They are reclinable up to 180º which allows you the perfect Business Class experience. It is a space designed especially for you. The 1-2-1 configuration provides the personal space you need. Once I was sat in my seat I was immediately offered a glass of champagne, which I happily accepted. 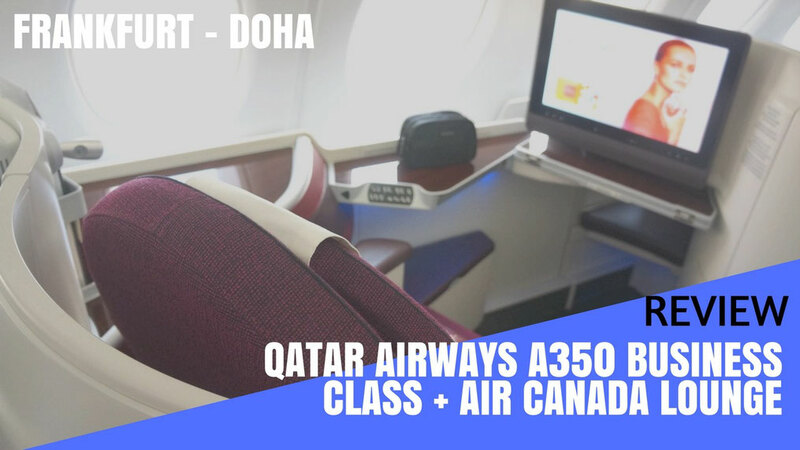 Qatar Business Class offers on-demand dining, which means that you don't have to wait for an allocated meal service in order to eat, you can choose to dine at any time you want. 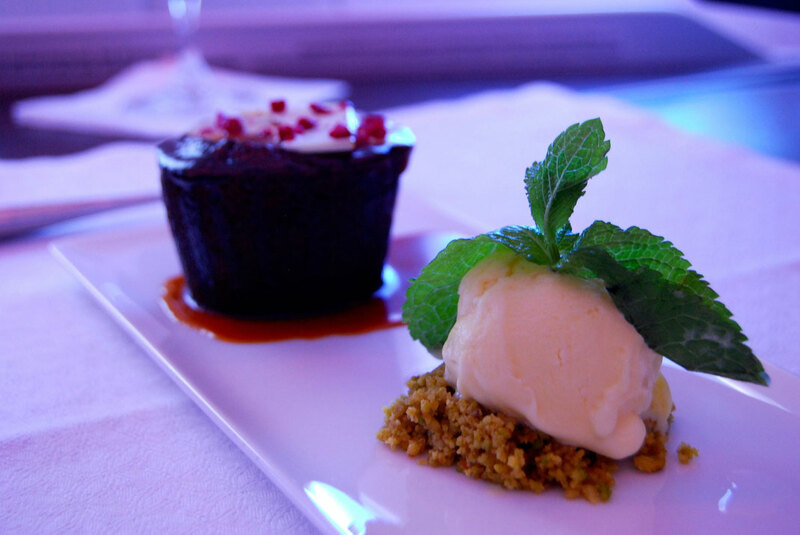 The menu has been developed by two of the world's top chefs, so you know that you are guaranteed an amazing and truly memorable experience in the air! The menu is split into three sections: food, wine and beverages. 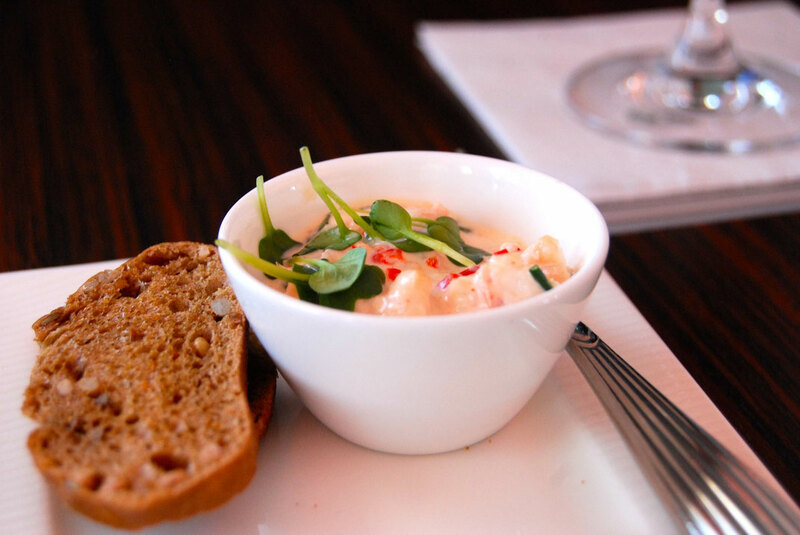 The service starts off with a "palate pleaser" - a spiced crab dish with a crostini which was super yummy. 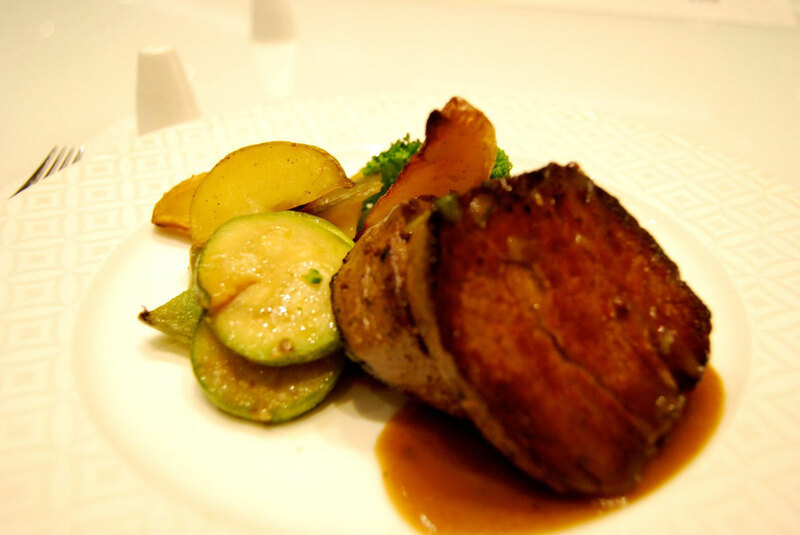 You are then definitely spoilt for choice with two different options for entree and three options for a main. I chose the classic Arabic mezze with Arabic bread for entree. The hummus was some of the best I've ever had. The presentation is also stunning and the portion sizes are generous. 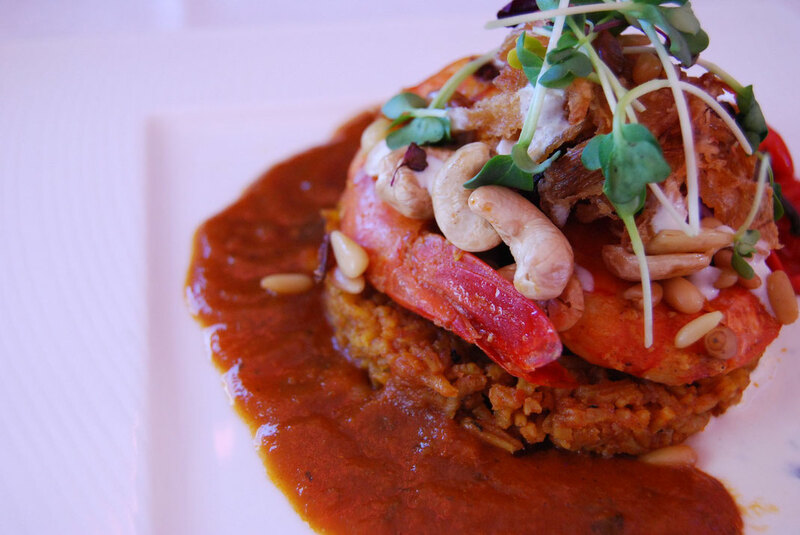 I had the Prawn machboos for main, machboos essentially meaning a "meat and rice" dish. It was also totally yummy. This is followed by a cheese course and then dessert, a super rich sticky date pudding. 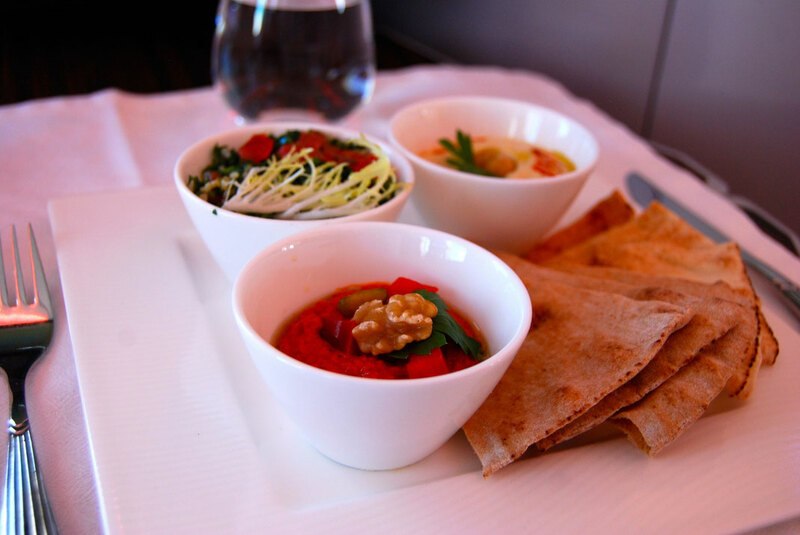 I was so full by the end but this was a once in a lifetime opportunity as Qatar is often known to have the best in-flight dining out there. And after this, I totally agree! 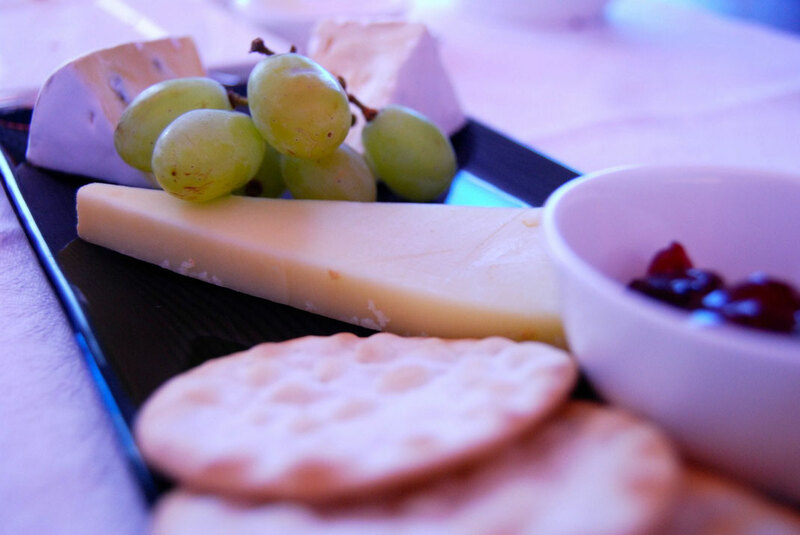 Apart from the mouthwatering meal options, everyone is also given an extensive, award-winning wine list. There are detailed wine notes with each selection, as well as suggested food pairings with the food options on the menu to help you have the perfect meal, which is awesome for a wine beginner like me. If wine isn't your thing there are other options like classic spirits, beers, liqueurs and cocktails, and of course there's also a wide range of non-alcoholic beverages such as soft drinks, juices, mocktails, tea and coffee that you can order at any time. 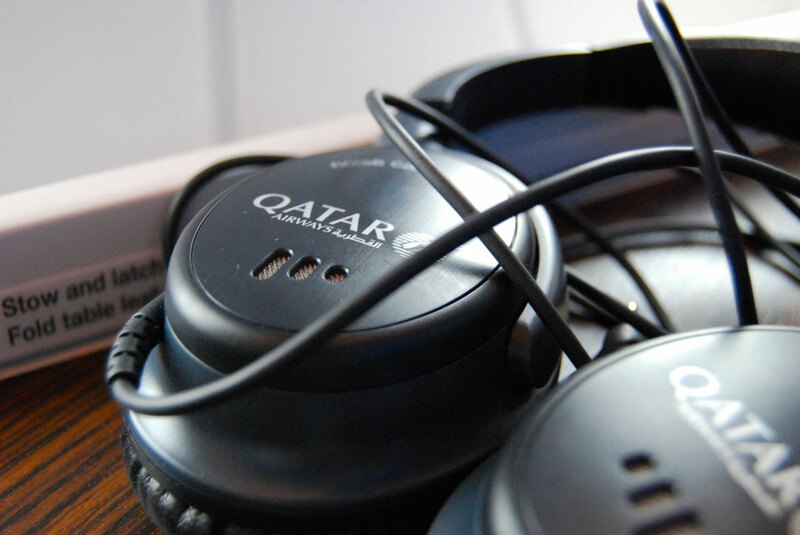 Every visitor to Qatar requires a visa which most nationalities can purchase on arrival. You can either pay with a credit or debit card, although cash payments are accepted in almost every currency. Citizen of GCC countries don't require a visa. 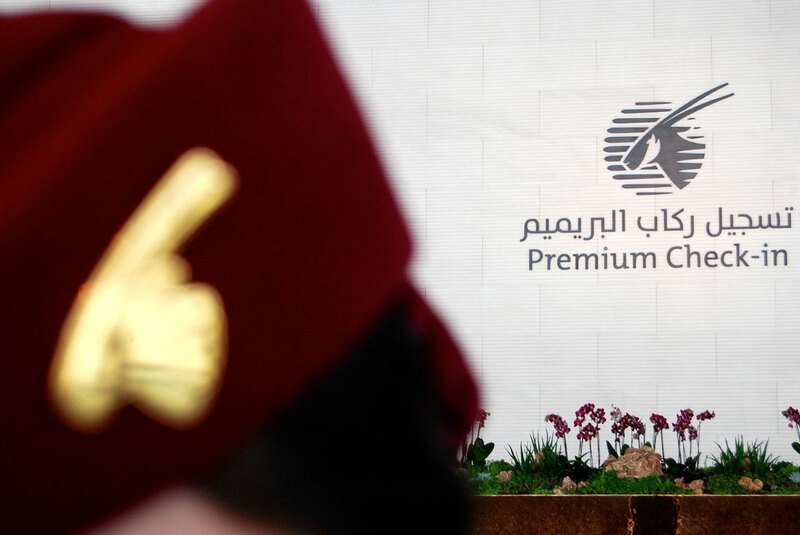 The price is 105 QAR (30USD) and grants you a 30 day stay. 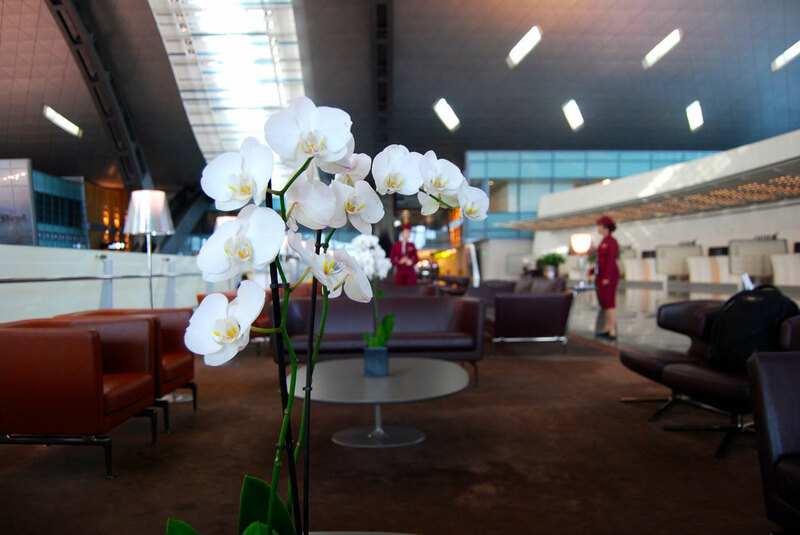 Qatar Airways provides a premium check-in for those lucky ones flying First or even Business Class. 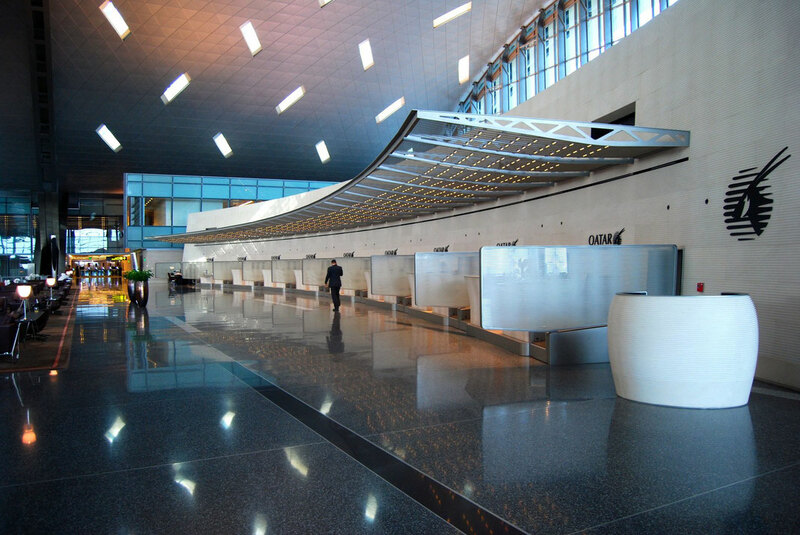 The entrance is easy to access and is located right at the beginning of the terminal building, a personal welcome is guaranteed. 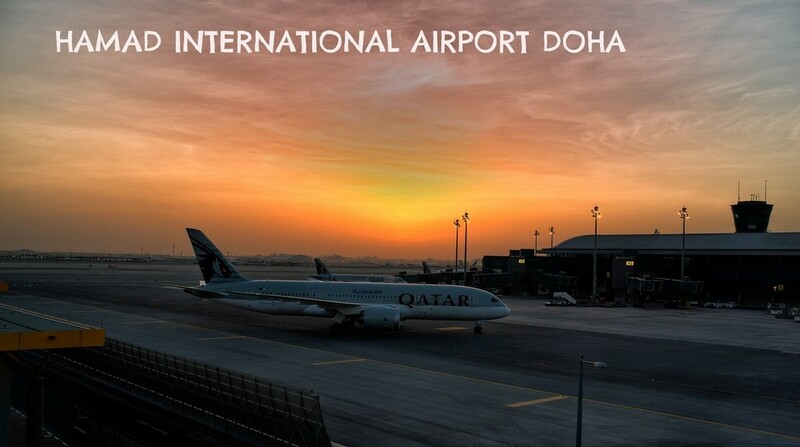 If a world record for the fastest Check-in and Custom clearance existed, the chances to set that one in Doha are pretty high. It's easy, smooth and convenient. Small refreshments are served while you check in and it is literally a one minute walk to Customs. 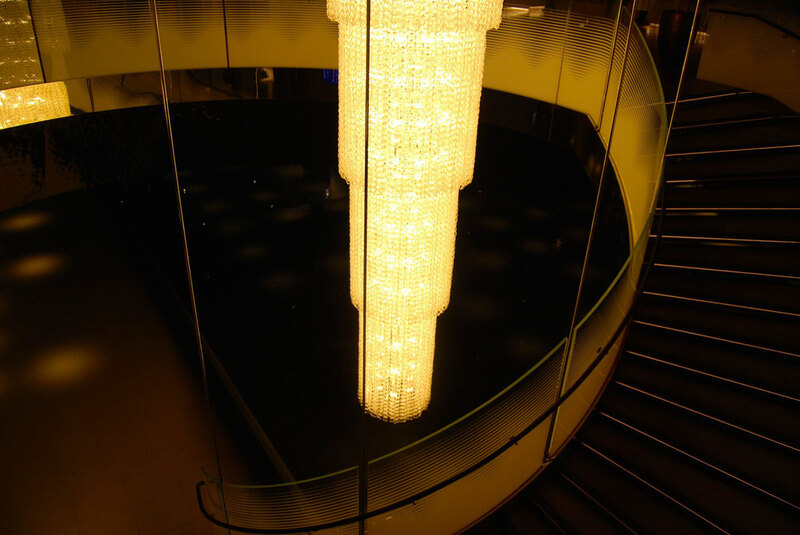 The Oryx lounge offers anything a traveller could possibly think off. It's family friendly, relaxed and is the ideal place to spend a couple of hours waiting for your flight. 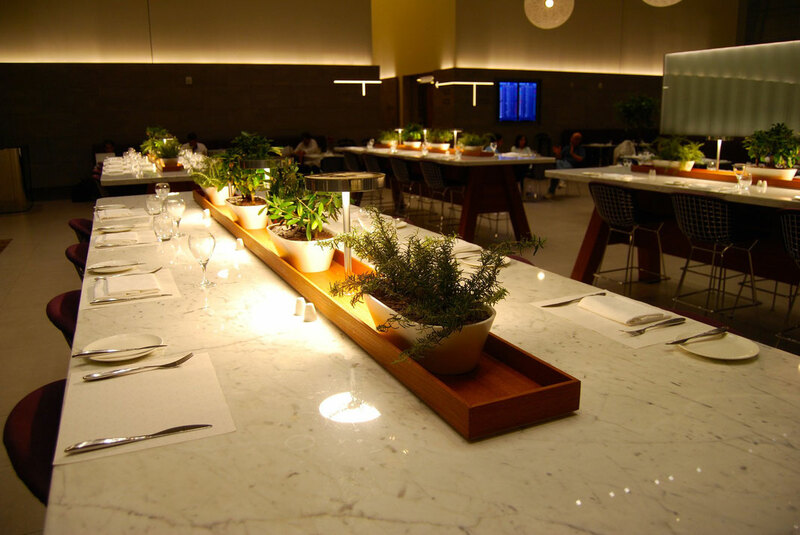 The Business Lounge can accommodate up to 2000 people which says a lot about its size. Most of the airport lounges I have been to have a little buffet and maybe a few nice armchairs. 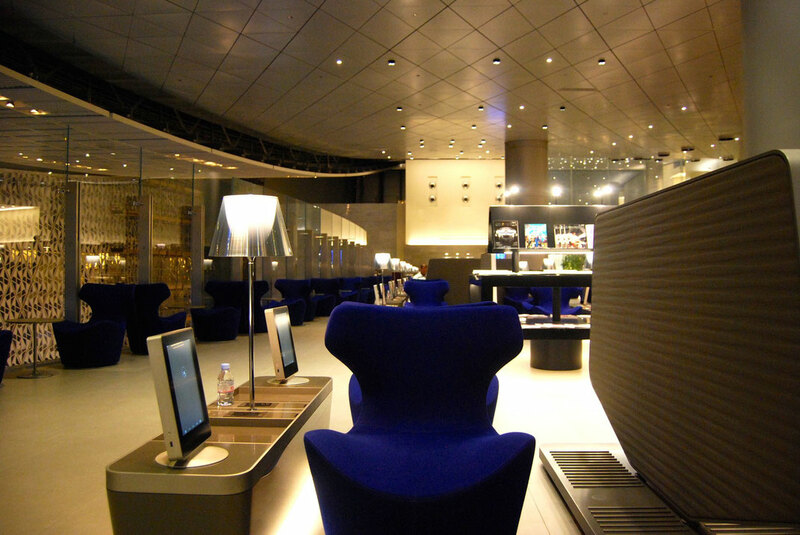 The Oryx lounge in Doha does take the concept of a Business Lounge to the very next level. But even if you fly Economy Class you can purchase access to the lounge for only 55USD. This includes unlimited food and beverages. You can use the business center or occupy your time playing Playstation. The restaurant upstairs features a bar, a buffet but also an la carte menu. 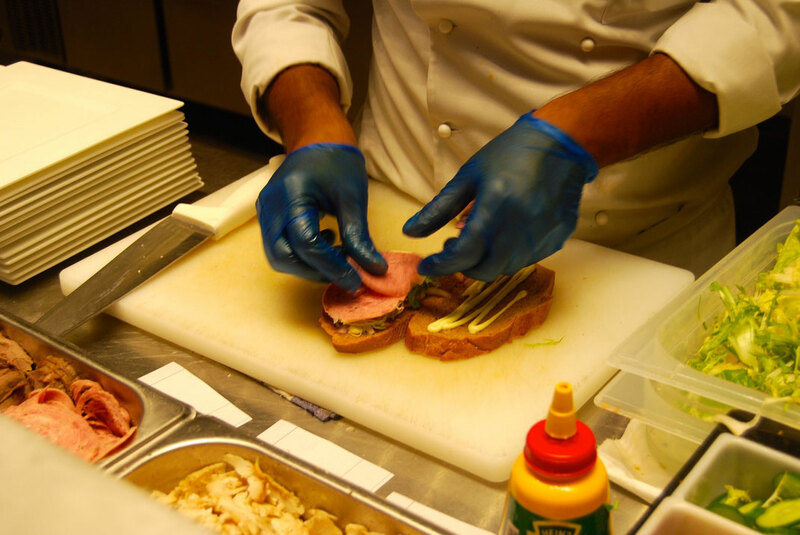 If you prefer a quick snack you should try the Sandwich bar. It reminded a lot of Subway where a chef just creates your very own for you. I loved it! 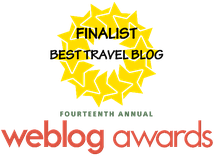 Get my latest reviews emailed!